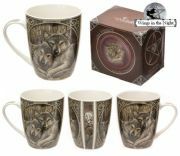 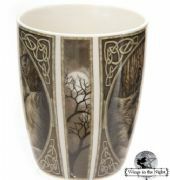 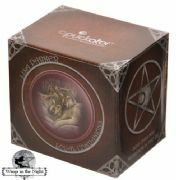 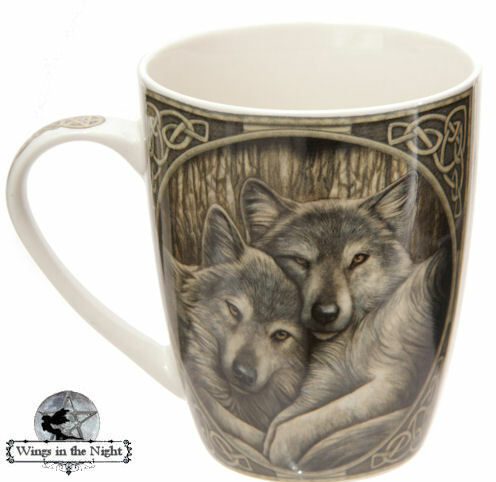 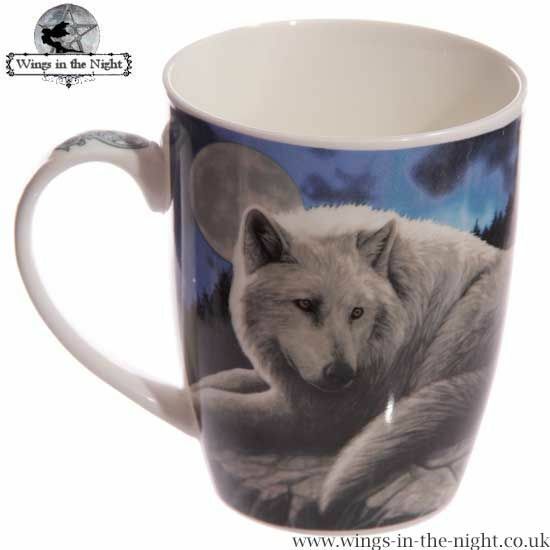 Loyal Companions bone china mug designed by Lisa Parker features two wolves lying lovingly together. 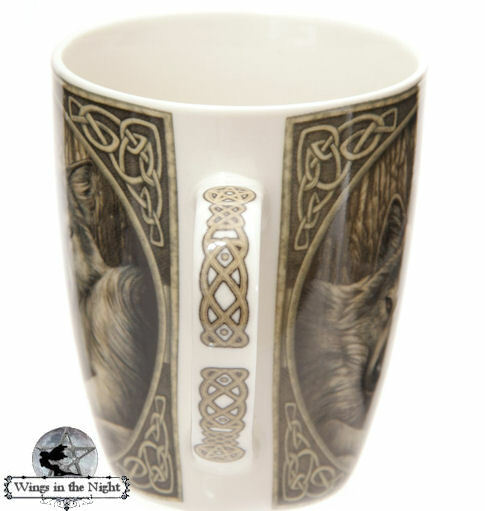 This mug is all round printed in stunning detail and is finished with Celtic knot work patterns a Celtic Triquetra on the handle. The artwork on this mug is by UK Mythical and Pagan artist Lisa Parker. 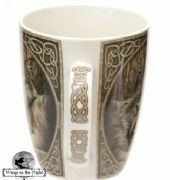 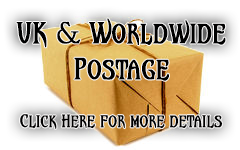 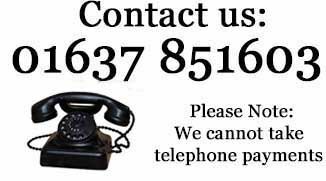 Dimensions: Height 10cms, Width 11 cm.